Snow has started to fall in some of the colder spots of the U.S. And snow sport season is upon us. For the outdoor folks who still want to get out in nature, and experience the beauty of a winter wonderland, there are many activities offered. One particularly enjoyable snow activity is snowshoeing. If you enjoy hiking, snowshoeing is the winter sport for you. It’s a great form of exercise and can be enjoyed at any fitness level. Snowshoeing is not difficult if you know where to begin. So, we chatted with Dwayne Sandall, a Race Director at Try a Trail Series, Lemming Loop, and Spruce Woods Ultra. Sandall leads many information sessions on group snow show runs for both seasoned pros and first timers. His helpful tips and tricks will get you out on the trails feeling like a pro. Know Your Gear. 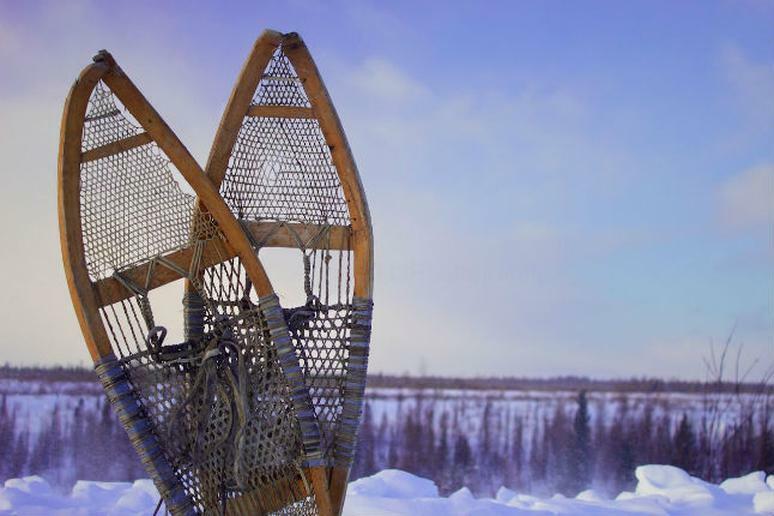 Try out your snowshoes at home first. Test out the binding, take them on and off on a scrap piece of carpet or heavy cardboard. Knowing how to easily and quickly tighten your bindings will come in handy when you are out in the cold. Dress for High Output. Layers are the answer when it comes to snow sports, but not too many layers for snowshoeing. “A good rule of thumb is to layer up so that you're a bit chilly for the first 5-10 minutes. Dress a bit lighter than you would for a hike or run in comparable temperatures as you're going to be working harder on snowshoes.” Also, invest in a pair of gaiters to keep snow out of your shoes or boots.